Built over 100 years ago, Clingstone is a massive cottage style mansion, with an impressive surface of 10,000 square-feet. At the beginning of the 1900s, J. S. Lovering Wharton took advantage of the fort enlargement nearby Jamestown. 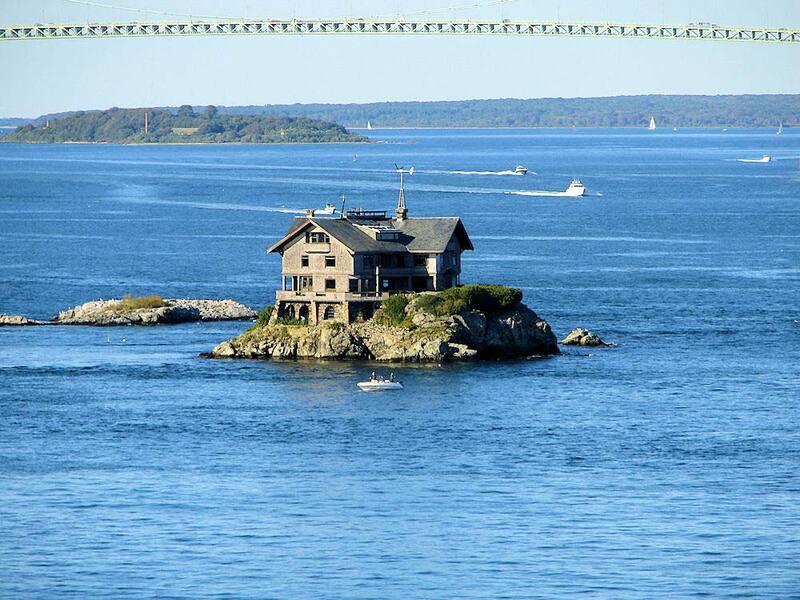 So, he intended to build a house, where no one could bother him. Even though the publication The Philadelphia Press, as well as locals, stated that “Mr. Wharton will not stay in the house more than one season,” they were quite wrong. 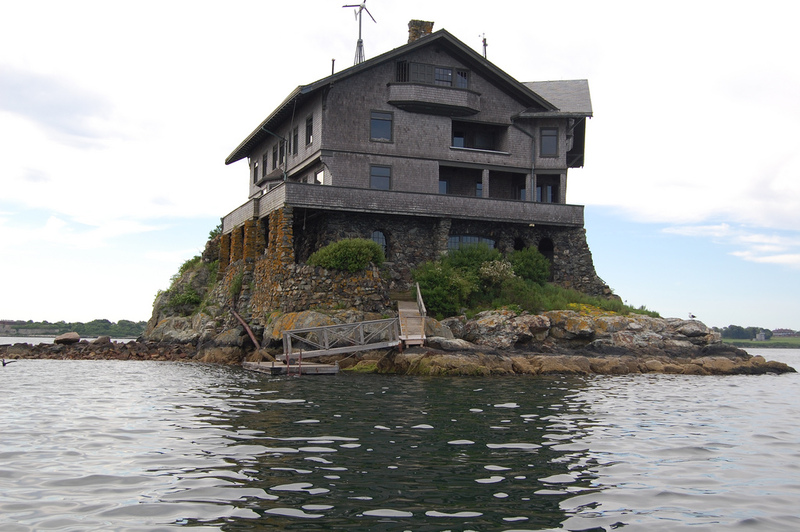 Not only did the owner build a huge house covering the entire surface of a small island, but he also lived there each summer until 1938, when he passed away. During the same year, a massive hurricane hit the entire Rhode Island coast and destroyed a considerable amount of buildings in the area. Clingstone, however, was among the lucky houses, as there was no major damage to it. Then, Wharton’s wife took care of the house until her last day, in 1941. But the treasure remained in the family. 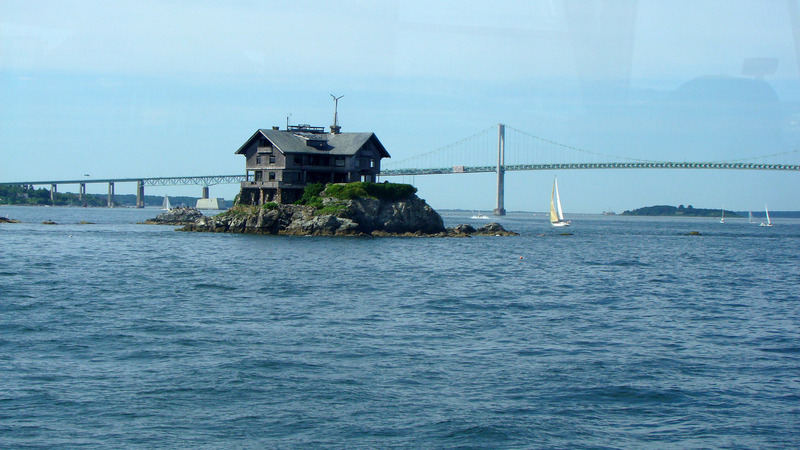 Twenty years later, the architect Henry Wood purchased the house for only $3,500. Henry Wood, who used to live in Boston, was a distant cousin of the Wharton family. At the time of the purchase, the house was dramatically damaged by local vandals, who sometimes went there to have fun. Still, there is one interesting thing that was kept even after all these decades: many marbles covering the interior shingles at the second floor. Another sign that reminds tourists of the wide history of Clingstone, lays on a ladder close to the roof. The cautionary sign says “No entry after 3 drinks or 86 years of age.” In fact, the original message referred to 80 year old people, but it was later changed by Henry Wood because a weekend worker at the house was 84 years old. The worker wasn’t the only person welcomed at the house, though. 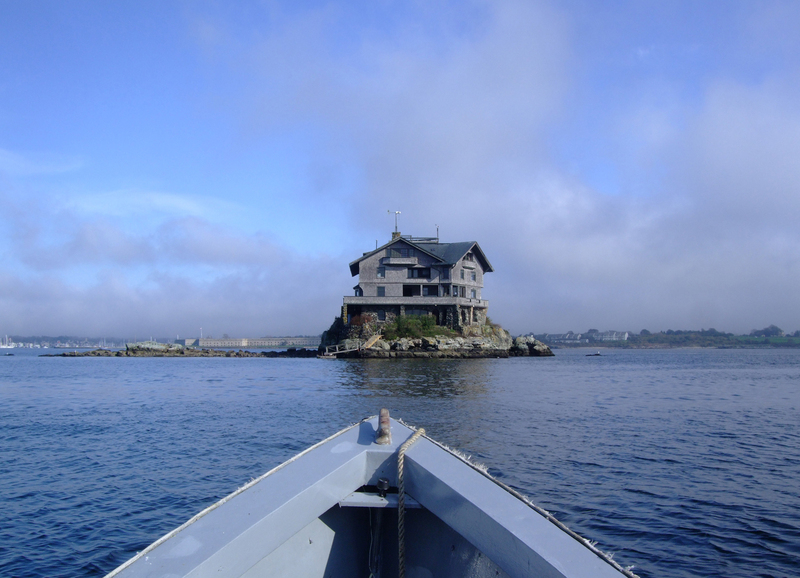 From boat companies renting the space to special guests or weekend workers, the 23 rooms still are often occupied by visitors and locals. As for Wood’s two wives, the first one immediately fell in love with the house, just like his three children. But the second wife was not having warm feeling toward the hose. 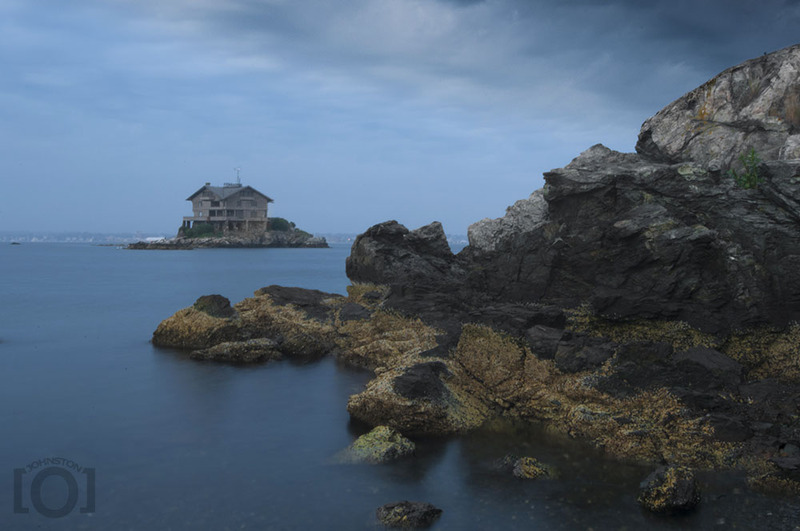 Today, every visitor who spends some time on the Rhode Island coast, hears about “the house on the rock:” a charming construction surrounded by sparkling water. 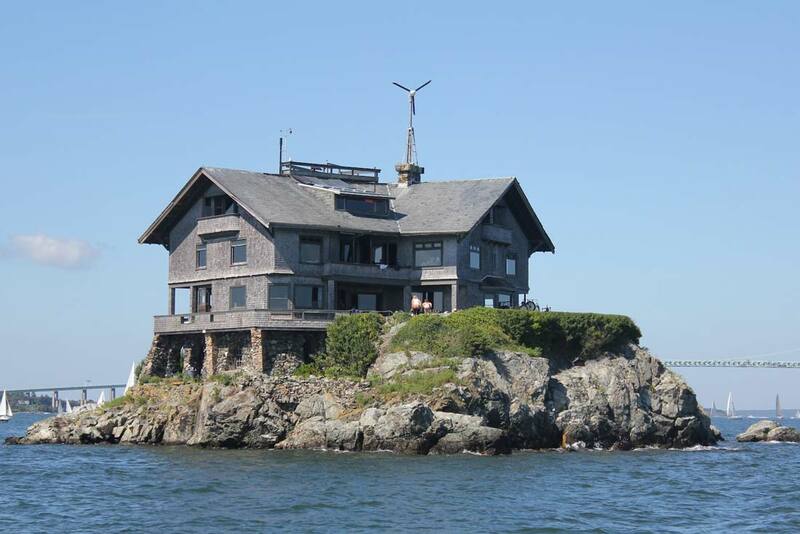 Inside Clingstone, the house on a rock.